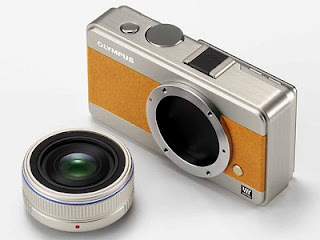 Home digital camera hardware Micro 4/3 cameras: a bridge too far ? 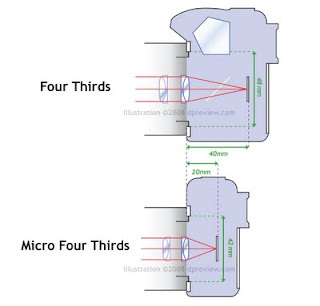 Micro 4/3 cameras: a bridge too far ? The new Micro Four Thirds comes to bridge the gap between SLR and digital compact cameras. SLRs (and DSLRs) normally have interchangeable lenses while Bridge cameras have a unique fixed lense. These later are generally more compact, but use a smaller sensor (4/3 vs 35mm for SLRs). Apparently there was still an unexploited niche in between, and potentially big enough for two major camera makers to start the experience of the Micro Four Thirds cameras. It takes the slower autofocus mechanism as well as the typical Electronic View Finder of the compact digital camera world (a plug-in optical VF is sold separately), and -for the moment- does not allow any video recording. This last point could be show stopper for people who like the compact all-in-one factor of bridge cameras. So the Micro Four Thirds has potential to frustrate both SLR and bridge fans. So far there were two main categories of photographs (or so I thought): the casuals (using bridges) and the serious (using SLR's). In between must sit the seriously casuals (or the casually serious? 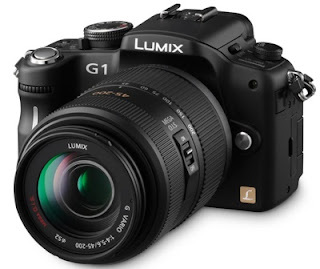 ), to which Micro Four Thirds will give a unique opportunity to spend big bucks for lenses and filters just like the SLR's (but with more space for accessories in the travel bag thanks to the smaller camera) and still enjoy the ISO limitation of a bridge.